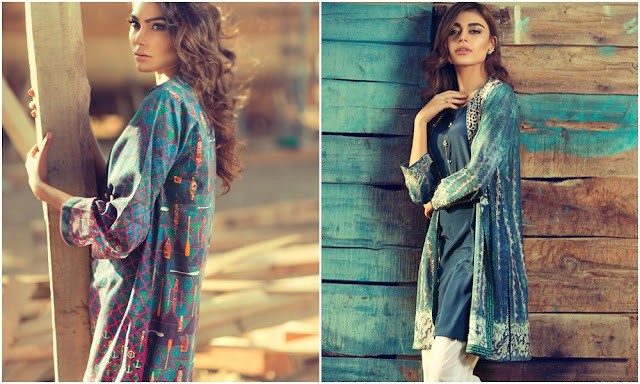 Gul Ahmed, Pakistan’s leading textile group, under its pret brand IDEAS by Gul Ahmed, introduced a new pret collection titled “Digital Dreams- Nautica”. This new collection is now available at more than 70 Gul Ahmed IDEAS outlets and leading retailers nationwide at a price range from PKR 2,500 to PKR 10,000. The new collection takes inspiration from the nautical and maritime elements, from ships, maps and more as well as from elements of marine life itself. The colour palette for Nautica draws on deep-sea hues, fusing exciting textures across a diversity of 28 individual designs. With an installed capacity of more than 130,000 spindles, 300 state-of-the-art weaving machines and the most modern yarn dyeing, processing & stitching units, Gul Ahmed is a composite unit – making everything from cotton yarn to finished products and is one of the leading composite textile houses in the world. Gul Ahmed also enjoys significant retail presence through its signature retail brand Ideas by Gul Ahmed. The chain now has an extensive chain of more than 70 retail stores across the country, offering a diverse range of products from home accessories to fashion clothing. With more than 60 years of experience in the textile industry, Gul Ahmed is globally synonymous with quality, innovation & reliability. Review: Essence Sheer & Shine Lipstick in Sparkling Miracle...!!! Hope your week is going great so far. Essence Cosmetics recently launched some new fall/winter products. The new launches in Pakistan also include the new Essence Sheer & Shine lipsticks. These lipsticks surely caught my eye because of their captivating packaging. Today am reviewing Essence Sheer & Shine Lipstick in shade "Sparkling Miracle". Let's get to the review and see what I have to say about this new lipstick by Essence cosmetics. Essence Sheer & Shine Lipstick in "Sparkling Miracle"
Essence Sheer & Shine Lipstick comes in a metallic bullet with translucent plastic lid. The lids of these lipsticks are matched to the actual color of the lipstick inside. The name of the shade is written on the bottom of tube. Overall, I find the packaging of this lipstick really cute and attractive. Coming towards the formula and finish. As the name indicates, this is a sheer and shiny lipstick, so you cannot expect this to offer opaque coverage. The lipstick is fairly pigmented. It offers sheer coverage in one swipe and medium coverage with multiple swipes. The finish of this lipstick is shiny. It adds a subtle hint of color to the lips with sheen. 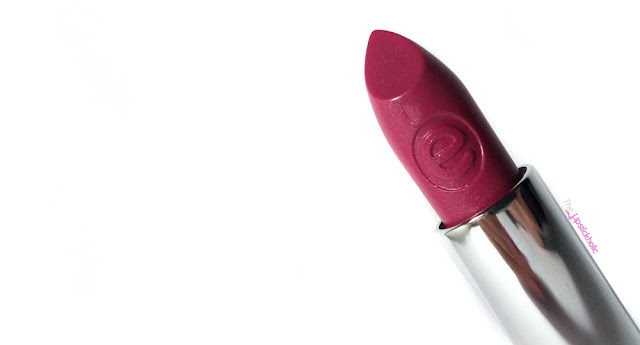 The formula of this lipstick is very hydrating. It keeps the lips moisturized for many hours and leaves my lips feeling soft and supple by the end of the day. The shade that am reviewing is "07 Sparkling Miracle". Its a light mauve pink shade with very fine shimmer. Am not a fan of shimmer in lip products but the shimmer in this one is not at all bothersome or noticeable. The staying power of this lipstick is not very impressive and it stays on the lips for about 2-3 hours at max. However, it keeps the lips feeling soft and hydrated for many hours. All in all, I like the formula and feel of this essence sheer & shine lipstick. 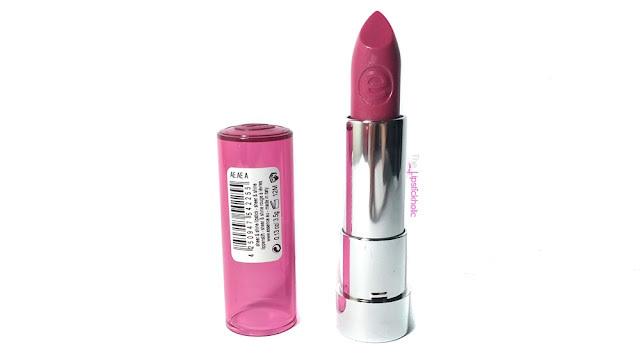 It feels lightweight, is comfortable to wear, feels hydrating and adds a nice sheen to the lips. However, the shade is too light for my liking and the staying power of this lipstick is not really impressive either. Nonetheless, I like how it feels on my lips. I am surely going to grab a darker shade from the range next. For the price, I think this is a nice lipstick and you should give it a try. Price & Availability: Essence Sheer & Shine Lipsticks are available at leading cosmetic/drugstores nationwide for Rs 360/- only. Beauty UK Cosmetics New Product Range...!!! Today I am sharing with you the new product range by the well-known drugstore makeup brand Beauty UK Cosmetics. 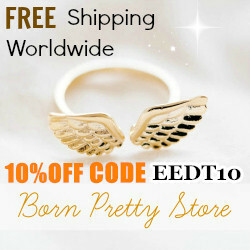 The brand keeps bringing new and amazing yet affordable products for its customers. Recently the brand launched its new and exciting product range in Pakistan too. The range consists of blush sticks, liquid lipsticks, eyeliners and contour palette. So lets take a quick look at these newly launched products along with their prices and details. Chiseled features like never before! Three skin-perfect shades for bronzing, contouring and highlighting. The palette comes with an easy follow guide that teaches you how to contour your face. Let your cheeks find the perfect blush! Selection of creamy stick blushers delivering an instant radiance. Moisturizing light-weight formula for a dewy finish. The lightest shade No.6 Vanilla Ice is an amazing highlighter too! Get the flawless pout because your Lips Matter! A luxurious velvet matte lip cream with intense colour and incredible staying power! Dries with the ultimate matte finish! I love matte liquid lipsticks and am really excited on launch of these affordable liquid lipsticks. Can't wait to try these out. The NEW Pro Gel Eyeliner range is a long-lasting formula that promises colour and high shine. Presented in a frosted glass pot with a precision brush, create defined lines that dry in seconds, without smudging. Available in jet black, espresso brown and cobalt blue. Stand out from the crowd with a dramatically bold or sleek look with our NEW blacker than black liquid eyeliner - Phantom True Black Eyeliner. Easy to apply, the eyeliner features a precision rubber nib allowing you to create thick feline flicks or fine defined lines to accentuate eyes immediately. All of these products look great. The prices are really reasonable too. 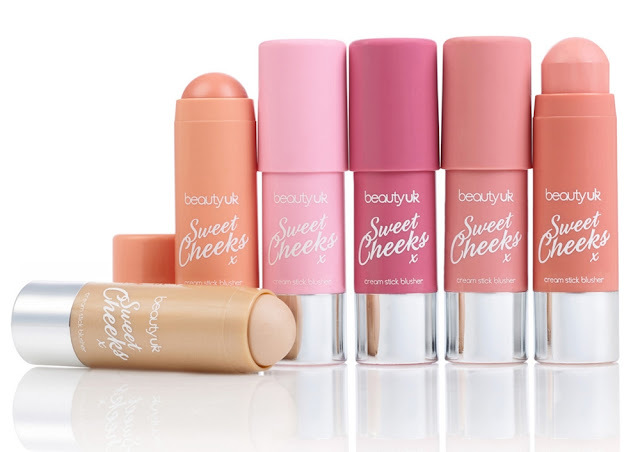 I am so intrigued to try Beauty UK Lips Matter and Sweet Cheeks from this new range. Price & Availability: Prices of the products are mentioned in the post. This new range of products is available at leading stores nationwide. 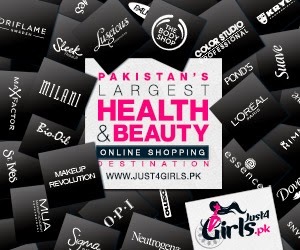 For further information on the brand and its new launches in Pakistan, join Beauty UK Pakistan on Facebook. 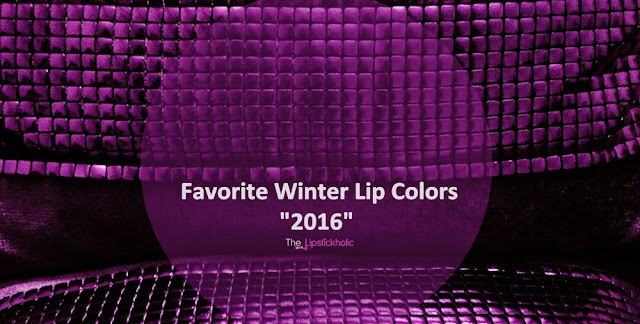 Favorites: My Favorite Lip Colors for Winter 2016...!!! Hope you are doing great. Its been long since I posted any of my makeup favorites on the blog. Therefore, I decided to share some of the lip colors that am loving this winter. Winters are all about wearing bold and deep shades. 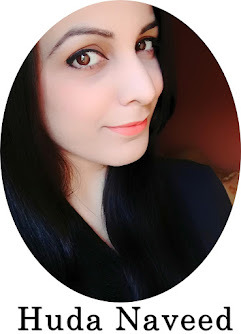 Initially I wasn't really fond of very bold and vampy lip colors but gradually I developed liking for bold, deep and unique shades too. 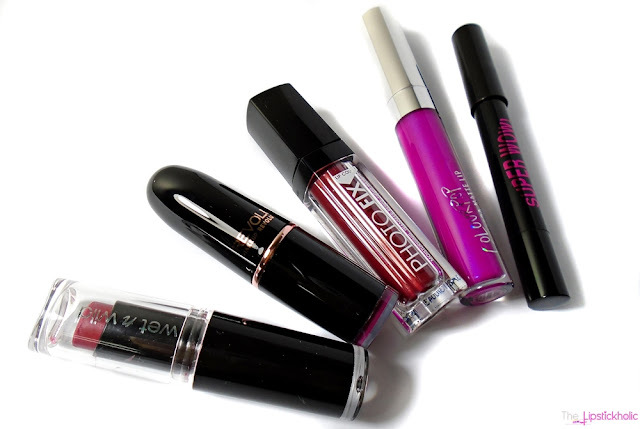 So let's get to the post and have a look at my top five current favorite lip colors for the season. The shade has made it to my favorite lip colors for winters this year too. I bought this shade last year and fell completely in love with it. Its a gorgeous berry pink shade. It is the kind of shade that instantly brightens up the complexion and makes you look fresh. I love wearing this shade even at home. 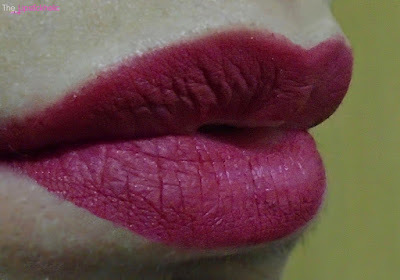 Wet n Wild Mega Last Lip Color "Wine Room"
Few months ago, I tried a couple of Makeup Revolution Iconic Pro Lipsticks. I love many shades from the range but in my opinion "No Perfection Yet" is a really winter-appropriate shade. Its a beautiful purple shade with cream finish. Initially I thought this isn't my kind of shade but now I have started liking the shade and wear it quite often. Makeup Revolution Iconic Pro Lipstick "No Perfection Yet"
One of my most favorite lip colors of all time is DMGM Photo Fix Lip Color "Plum Frost". From finish to shade and staying power, I love everything about this lip color. Its a gorgeous deep burgundy shade with hint of red. It almost looks like a burgundy red shade in indoor lighting. Am definitely gonna restock this lip color as I love love love it. DMGM Photo Fix Lip Color "Plum Frost"
I got this lip color few months back and I can say this is a unique addition to my lipstick stash. Its a bright and almost neon blue-based violet shade with hint of pink. It is a very vibrant shade which most of the times appears as a bright violet shade while sometimes it looks like a neon blue-based pink lip color. I love this shade for its uniqueness. ColourPop Ultra Matte Liquid Lipstick "Sundae"
This shade that won my heart at first swatch. Makeup Revolution The Wow Stick "Call Me" is the most gorgeous red shade in my lipstick collection. A kind of red that would suit all skin tones. The matte finish of the gorgeous red shade makes it more perfect. I am so in love with this shade and love using it all year round. Makeup Revolution The Wow Stick "Call Me"
At the end, here are the swatches of all the five shades that I am loving this season. So these are my 5 favorite lip colors for winters 2016. I love wearing these shades currently but yes, there are many more that I really love too. I think I will have to do a second part of my favorite lip colors for winters 2016 soon to share the rest of my favorites.